Dubai, UAE, November 14, 2018: The two UAE National teams have continued their winning start in the Girls’ Under 18 category of the Dubai Sports Council Football Academies Championship, cruising to victories in week four of the tournament. The UAE National Team A, who had trounced Regional Sports 8-1 in their opening match, blanked The Football Academy Belles 3-0 in their second outing last weekend, while the UAE National Team B, who had started their campaign with a 1-0 win over TFA Belles in week three, defeated FC Academy Just Play by the same score. In the third Girls’ U18 match of the weekend, du LaLiga High Performance Centre Girls made it three wins from three with a 4-0 triumph over Regional Sports. In the Boys’ U18 category, however, du LaLiga HPC were not so fortunate as TFA Youth, who had one point from their first two matches, defeated them 3-2. This was du LaLiga HPC’s first defeat in the Boys’ U18 championship, and it allowed City FC and Al Nujoom to leapfrog them on the points table. All three teams are level on 9 points, but City FC and Al Nujoom have better goal difference. City FC defeated Alliance 3-0 to move to the top of the table with a goal difference of 17, while Al Nujoom drubbed Solo Day Sports to improve their goal difference to 13. In the Boys’ U16, local club Shabab Al Ahli Dubai were the big winners of the weekend, thumping FC Academy 7-1 in their Group A clash, while City FC White blanked LaLiga Academy 5-0 in Group B to move to the top of the points table. 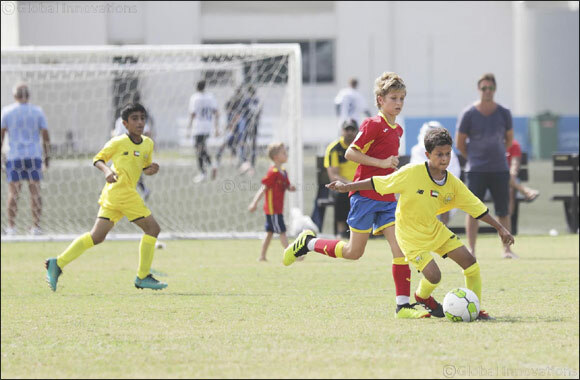 The Shabab Al Ahli boys had a good outing in the U12 section as well, defeating Al Nujoom 5-1 for their first win in Group A, while Barca Academy Xavi defeated Barca Academy Romario 4-2 to move to the top of the group. In Group B, AS Roma Academy Red share the top spot with Spanish Soccer Schools Ramos with 10 points each; Roma defeated La Liga Academy Sevilla 2-0 in their week four duel, while Spanish SS Ramos edged their clash with Barca Academy Koeman by the same margin. In Group C of the U12 category, Barca Academy Bakero have moved to the top of the table following a 4-2 win over second-placed FC Academy. City FC Red, meanwhile, have maintained a three-point buffer over Spanish Soccer Schools Iniesta at the top of the Boys U14 Group A points table following 3-1 win over Go-Pro in week four, while in Group B, Spanish Soccer Schools Ramos have taken the lead following their 1-0 win over second-placed Al Wasl.